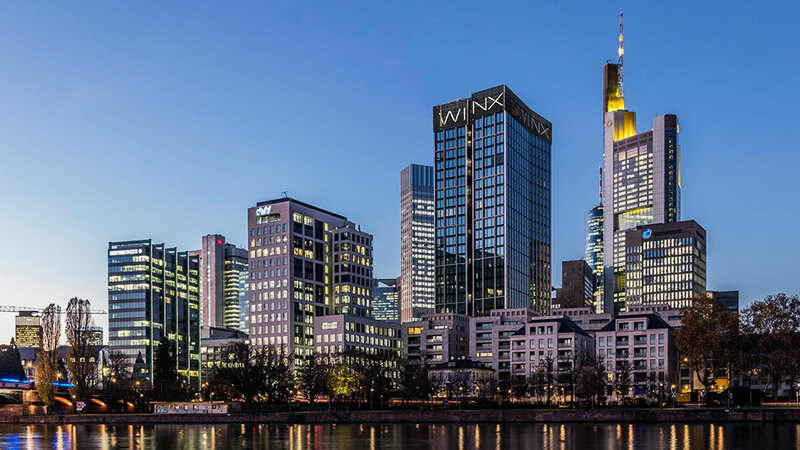 WinX is set to reshape Frankfurt’s skyline – and set a new benchmark for building design. This ensemble of office tower and gateway building is located in the dress circle, with spectacular views of the Main river and the busy streets of Europe’s financial capital. Designed by Jürgen Engel, WinX stands out thanks to its impressive architecture with clean, minimalist lines. 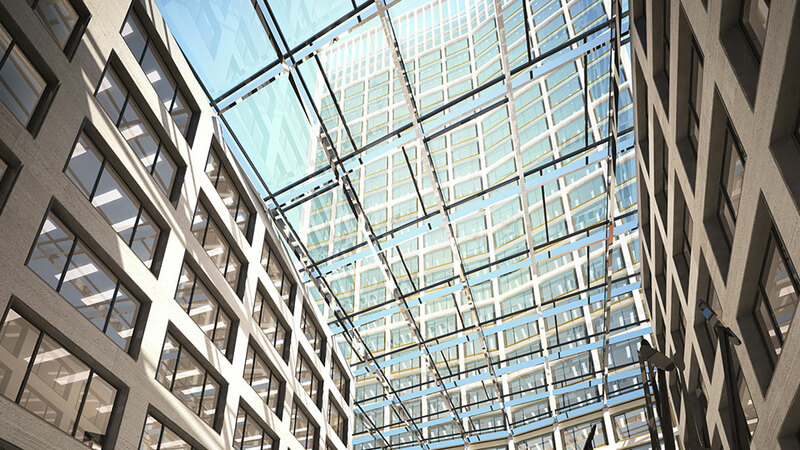 The spectacular office tower is perfect for companies seeking unique and stylish premises. 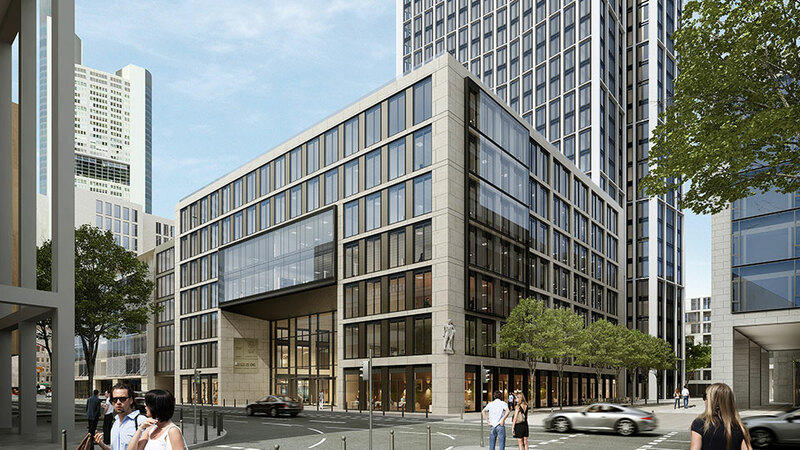 Located in front of the tower, the gateway building with its exclusive address (Neue Mainzer Strasse) boasts spacious quarters for international businesses. The ground floor offers plenty of room for a conference centre or upscale cafeteria with high-class cuisine. 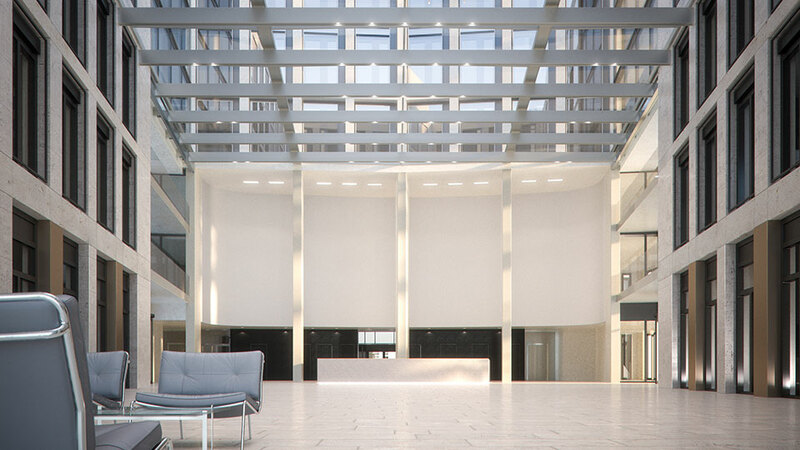 In addition, carefully selected shops provide a well-rounded array of amenities for the buildings’ office workers. The attractively designed, bustling plaza in the heart of the MainTor Quarter is a place to relax and enjoy life – right in the middle of the city. From here, you can stroll along the banks of the Main towards the famous Nizza park. WinX is also well-placed in terms of proximity to the business district and stock exchange. Locating your office here sends a clear message – conveying innovation, dynamism and success. WinX also fulfils all criteria of a state-of-the-art, user- and eco-friendly office. The extensive use of glass lets light penetrate into the furthest corners of the rooms. Innovative technologies deliver cost- and energy-efficiency. For example, geothermal energy is used to heat and cool the building. 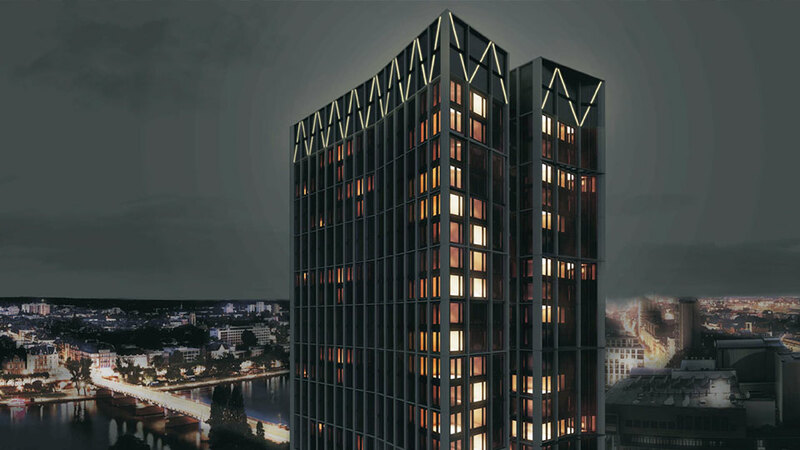 The façade is designed with environmental factors in mind, minimising direct sunlight and reducing the energy consumption associated with air conditioning. What’s more, this “green building” approach also benefits workers, offering a pleasant office environment.